A unique opportunity to purchase in this highly desired village: A modern 3 Bed DETACHED bungalow benefiting from a large GARAGE occupying a cul de sac position within close proximity to the park and centre of the village with shops and pub etc. and lying roughly halfway between Stowmarket and Bury St Edmunds. 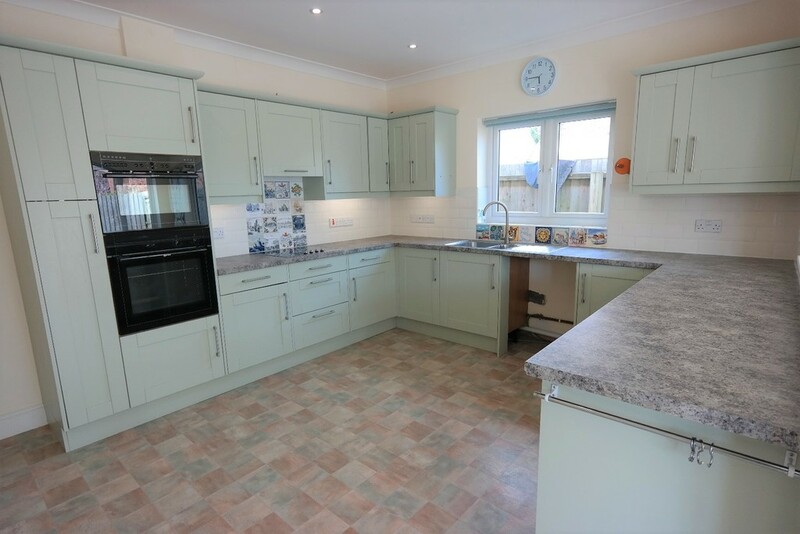 The bungalow has a spacious Lounge, a good size Kitchen which is an open plan design with the Dining Room, 3 Bedrooms, Bathroom and Cloakroom. There is a large Garage with electric door, off road parking for 2-3 cars and a fully enclosed garden to the rear. The bungalow is being offered for sale with NO ONWARD CHAIN and the agents would recommend an internal inspection. LOUNGE 14′ 4″ max x 15′ 5″ (4.37m x 4.7m) With window to front aspect, radiator, TV point, 4 wall lights. DINING ROOM 10′ 4″ x 14′ 3″ (3.15m x 4.34m) With vaulted ceiling, 2 large windows to rear aspect, radiator, TV point, patio doors opening to the garden, spotlights, laminate flooring. BEDROOM 1 11′ 7″ x 10′ 8″ (3.53m x 3.25m) With window to front aspect, radiator. 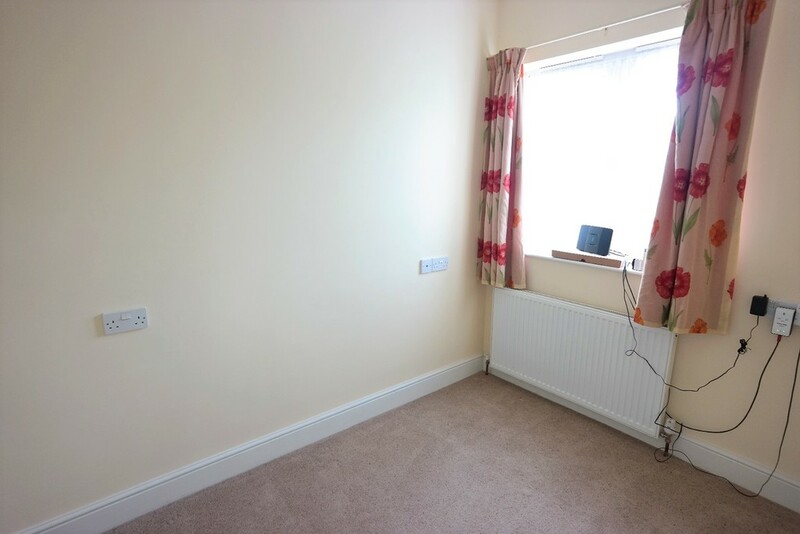 BEDROOM 2 11′ 8″ x 7′ 8″ (3.56m x 2.34m) With window to rear aspect, radiator, built in wardrobes. 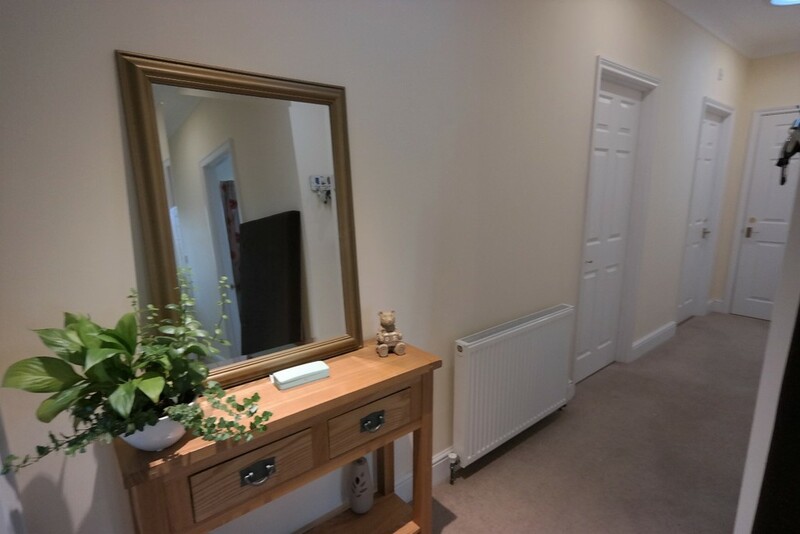 BATHROOM With window to rear aspect, bath with shower over, washbasin, low level WC, heated towel rail, shaving point, generous wall tiling, extractor fan, spotlights, laminate flooring. CLOAKROOM With low level WC, washbasin, laminate flooring. STUDY 9′ 4″ x 6′ 3″ (2.84m x 1.91m) With window to front aspect, radiator. OUTSIDE To the front of the property is a lawn with side driveway providing off road parking leading to the large GARAGE with electric door and personal door to rear. There is side access to the rear garden which incorporates a good size patio, lawn, side flower and shrub borders, raised vegetable patch, being fully enclosed by fencing.